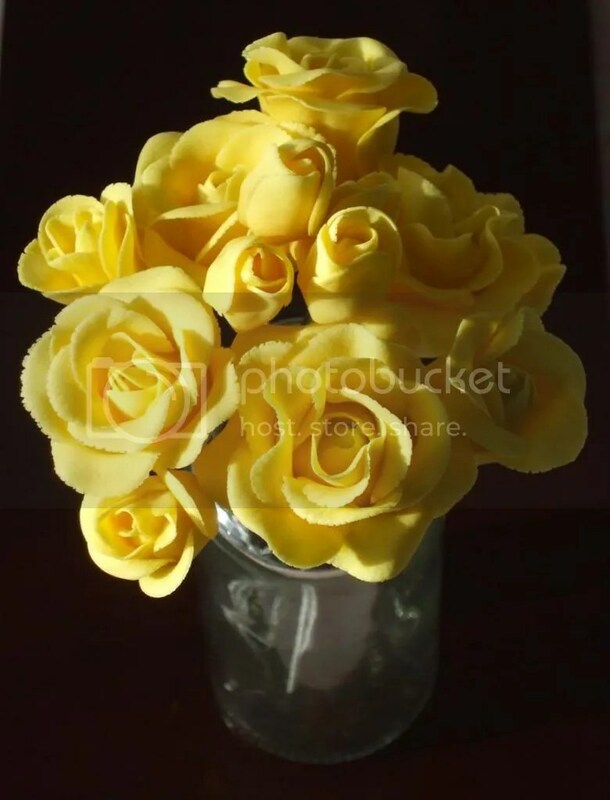 Today I made a bunch of yellow roses….4 full bloom, 4 partly open and 4 buds. 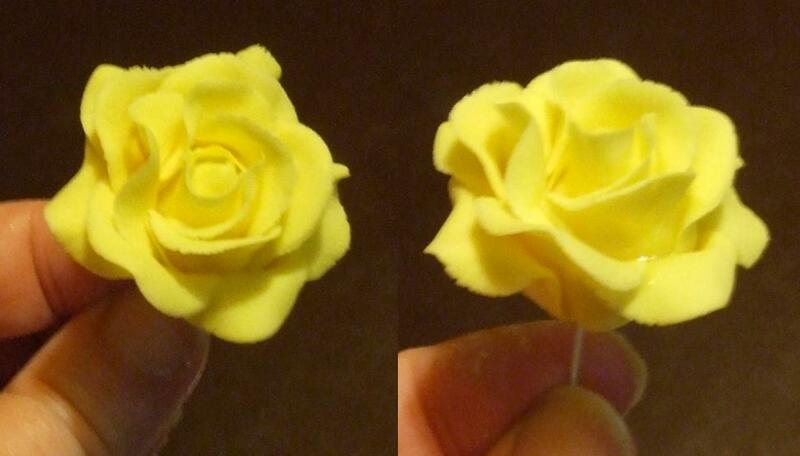 They are just so satisfying to make…almost a miraculous transformation from flat flower paste to a glorious rose! Ok – so it wouldn’t fool a rose gardener, but on top of a cake on the head table they can look totally stunning! They are a bit more labour intensive than the ‘just-a-minute’ filler flowers I made yesterday. The full dozen took me just about 2 hours – and that is without adding the calyxes or binding the wires with florists tape. 1. 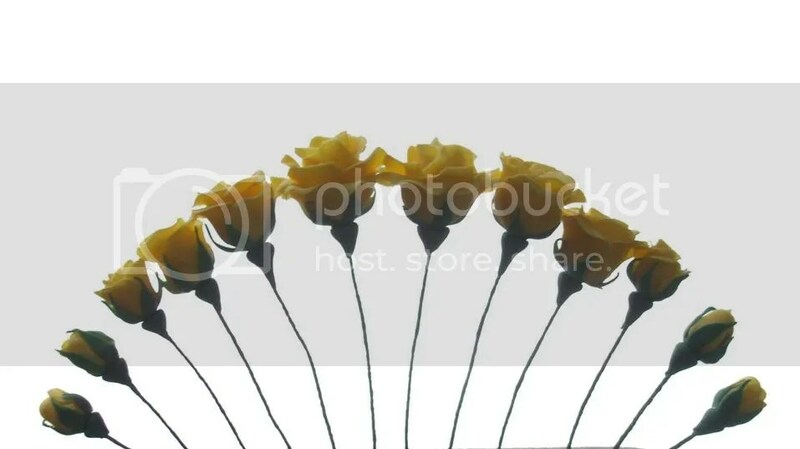 I build my roses onto wires which are customised with a teardrop shaped lump of dried sugarpaste on one end. This makes the finished roses big and fat! 2. 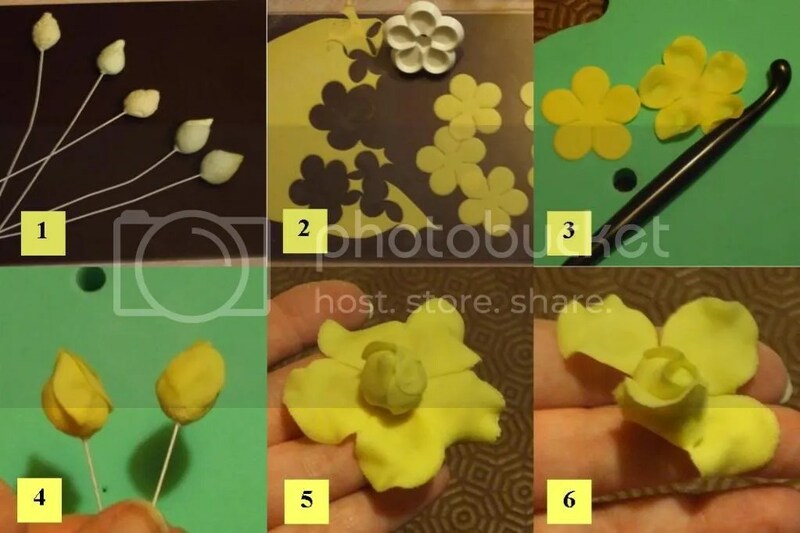 After colouring and rolling out my flower paste to almost tissue thickness I cut out 5 petal flower shapes. This is a quicker way of adding petals than cutting them out and adding them individually. 3. Using a special ball tool I thin out the paste around the edges and develop the cup shaped petals. 4. 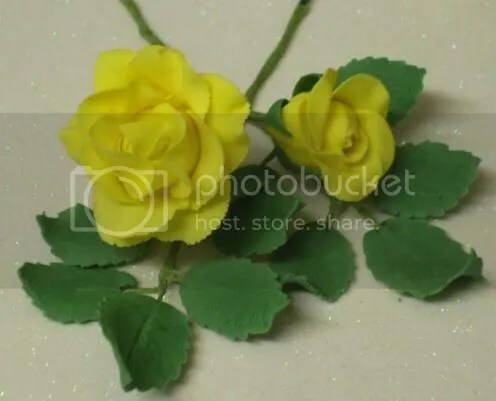 I apply a little confectioners glue to the ‘bud’ and thread the petals onto the wire and then glue them to the bud, covering it completely and interleaving them to make a swirl, like real rose petals. 5. It is then a case of adding more and more layers of petals until it reaches the desired fullness. 6. It is important to take care where the petals are positioned and to shape them gently into a rose shaped arrangement. Tomorrow I will make the calyxes and some leaves to give the full rose effect.